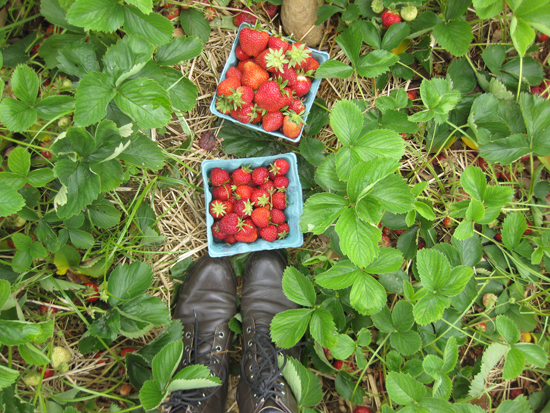 strawberry fields on a sunny, perfect day. 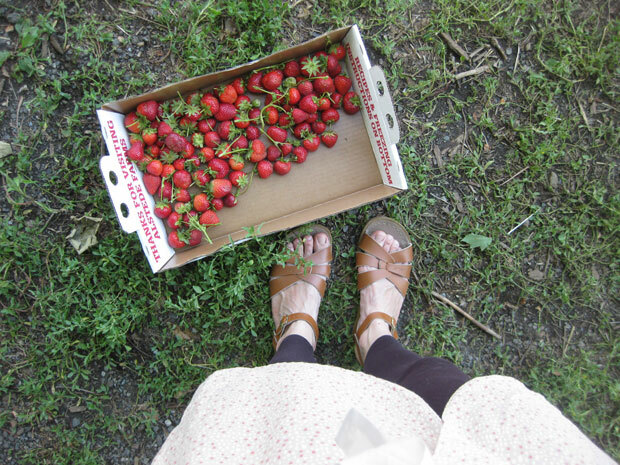 It’s strawberry time (finally!). This was our second time going this season! Such a wonderful event to do with a little one. 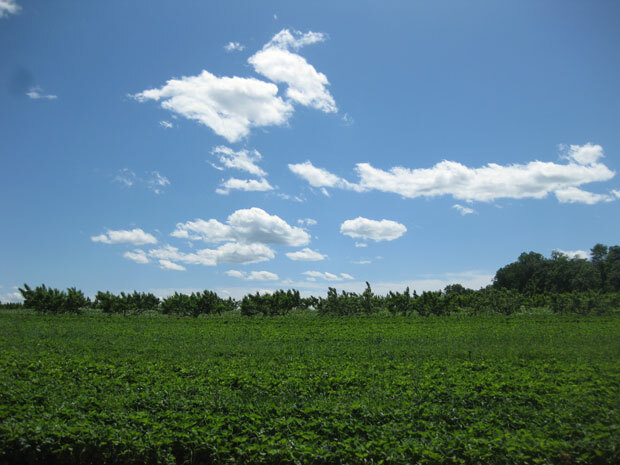 And being in the berry fields in the sunshine is enough to forget any troubles. 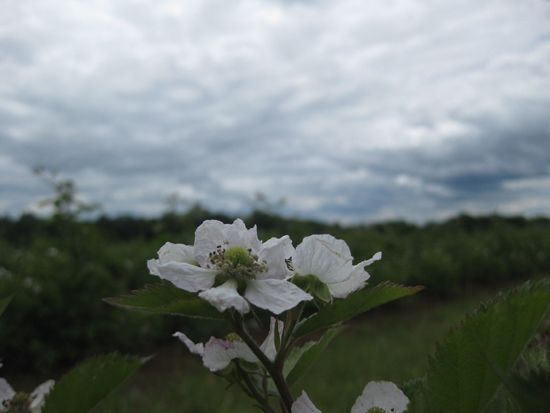 Now we are looking forward to blackberry/ raspberry season. Soon! So many adventures as-of-recent! 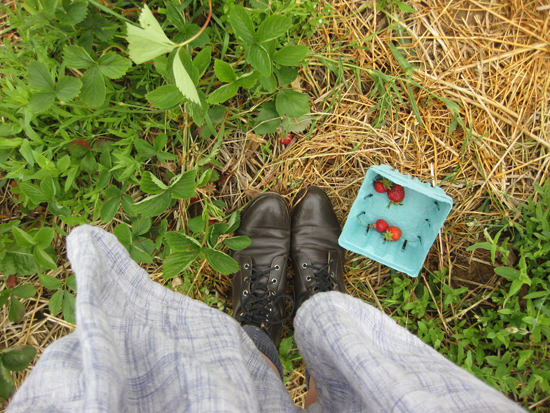 I am awakening from a long slumber (and hopefully this blog is too). I took my little one to the orchard a few days ago. 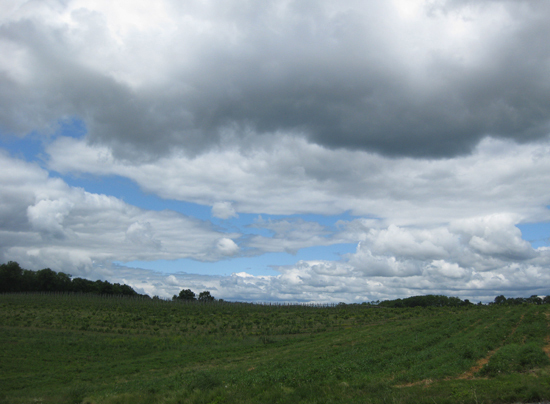 The day was gray with a few sunny spots and so perfect for being out in the strawberry fields. I’m not much of a sun person so when it peaks out from the clouds for brief moments I am most happy. 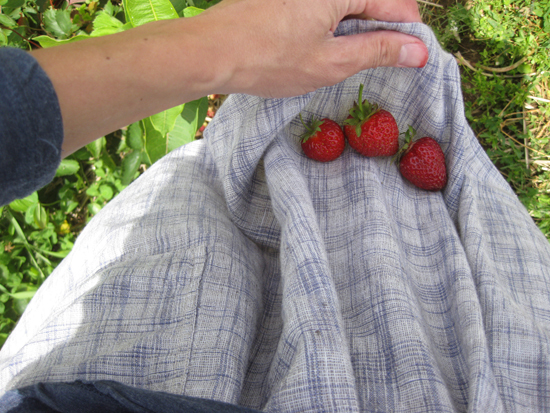 The strawberries were just so red, plump, juicy and warm from their brief encounter with the sun’s rays. 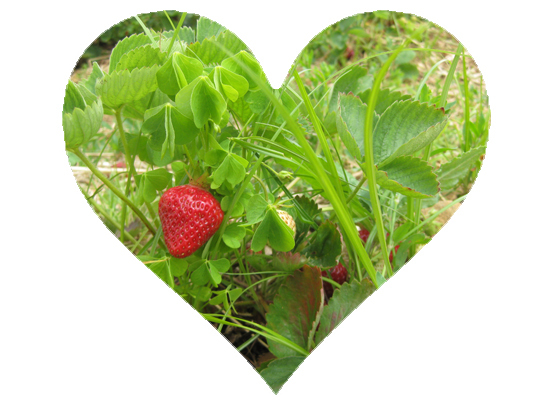 Most of the fields were full of delicate blossoms awaiting to grow into succulent berries. 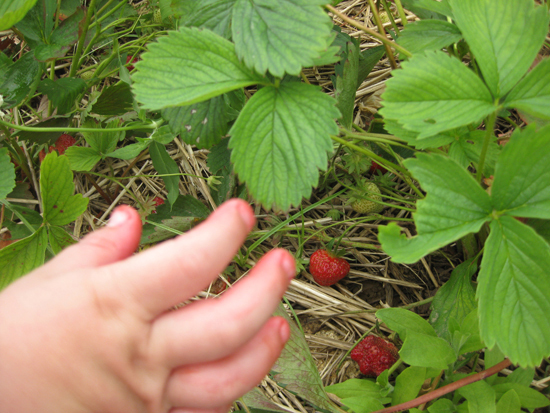 By the time we left the field we were dappled in strawberry juice from head to toe (little one more so). And as soon as we arrived home I had this delicious cake baking in the oven. So perfect for early summer, with baked-in strawberries, it’s a nice change from classic strawberry shortcake. And so it begins, onward with all of summer’s adventures!